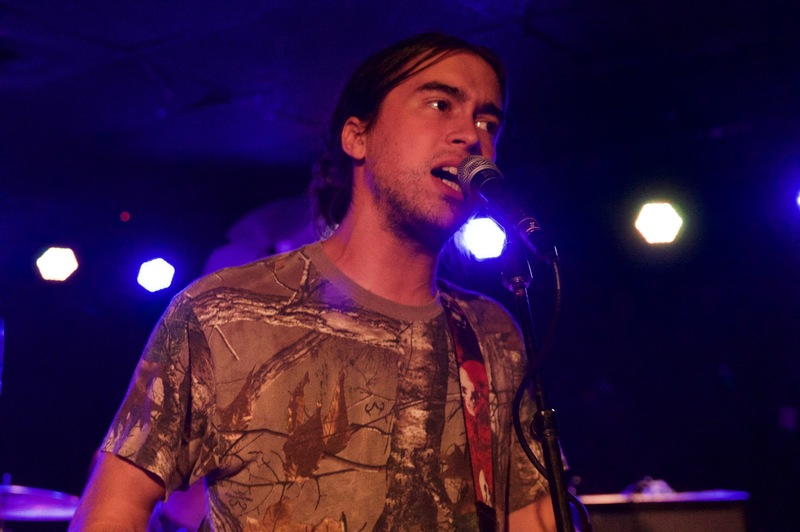 Tuesday evening's (Sandy) Alex G performance took more twists and turns than a kindergartner's crayon-scribbled self-portrait. Following a magnificent, yet underappreciated outing opening for Fleet Foxes in Kansas City two months ago, the young songwriter and his band returned to headline in Lawrence. The first half-hour of the set was highly similar to the August set, drawing mainly from his two latest albums, the somber "Beach Music" and the more experimental "Rocket." Fans familiar with the latter sang along to the country-tinged "Bobby" and basked in the eerie plucking of "Poison Root." Between songs Alex would quietly dance around the stage to the funny stock tunes pre-programmed on his keyboard. The most magical moments of the show came when he set his guitar down and sat in front of that keyboard. "Guilty" had been performed at the Fleet Foxes show and likely charmed a few onlookers there, but fans at The Bottleneck fell head over heels for it. This one-of-a-kind indie-jazz tune gave every fan in the room a warm smile that later erupted into laughter as Alex pounded at his keyboard and switched the tones to strange sound effects as his band jammed along behind him. "Guilty" was the night's finest performance and breathed new energy into the crowd, but "Sporstar" was the song that most successfully summed things up. The song's chorus -- "I play how I wanna play / I say what I wanna say" -- may refer to a different narrative, but it could also be Alex's mission statement. He's clearly talented enough to be making more money writing pop songs, but he has chosen to express himself in the ways he finds most fitting. As the show's halfway point passed, Alex asked for some drinks and was visibly inebriated by the show's end; he stumbled once or twice, chuckled midway through a falsetto part, and may have accidentally slowed one song's tempo. He pulled out tracks from earlier albums like "DSU" and "Trick" and took a few fan requests, quelling the longtime listeners in the room. It didn't end as gracefully as it began, or as playfully as it became, but the crowd loved Alex just the same -- that's the luxury afforded to one performing in a college town. The show was opened by a New York based band called Crumb, followed by the sleepy emo rock of Austin's Hovvdy.